The Huffington Post Media Group has partnered with Le Mond Group and Les Nouvelles Editions to create Le Huffington Post a french version of the popular online American news portal. Under the partnership the Huffington Post platform will power a French edited network. Currently the three agencies are working to hire top notch French editors and writers with a launch scheduled for the end of 2011. Le Huffington Post will combine the local editorial resources of Le Monde, one of France’s leading and most widely respected dailies, withThe Huffington Post’s pioneering combination of original reporting; aggregation; a leading-edge commenting forum and dynamic social engagement tools; and a vibrant platform for a wide range of bloggers. Les Nouvelles Editions will provide original content for the network through the use of their own bloggers and journalists while M Publicite, part of the Le Monde Group will provide advertising for the new venture. 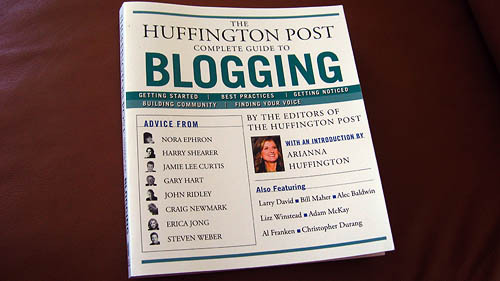 News of the french version comes after The Huffington Post UK and The Huffington Post Canada launched in early 2011. Le Monde definitely has experience in the french news reporting field with several weekly magazines including Courrier International and Télérama. Le Monda also operates lemonde.fr, télérama.fr, courrierinternational.com, la vie.fr and lepost.fr for a combined audience of nearly 8 million monthly visitors. Do you think Le Huffington Post will become a success in France?